Young male detention centre for under 20 year olds known as "Fundaçao Casa" or Febem, established by the Sao Paulo city government to help young offenders back to society. They are in prison for drug dealing, robbery and other crimes. They mostly come from deprived backgrounds usually from the multiple favelas that surround this megacity. 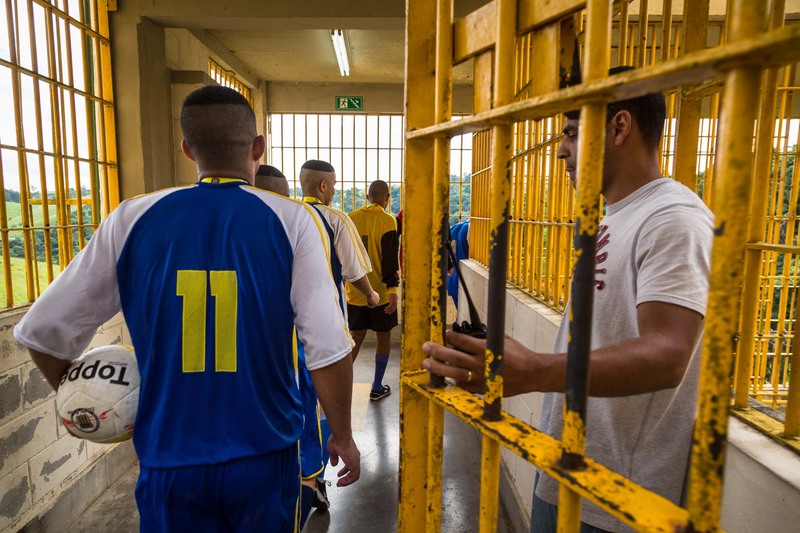 They continue schooling activities and play mostly football whilst in detention, which can be up to a maximum of three years, Brazil.